Great Sand Dunes National Park is just a short distance from my home base in Salida Colorado. As a photographer it’s an amazing place to spend time wandering the dunes and photographing the shifting light and sculptural forms. 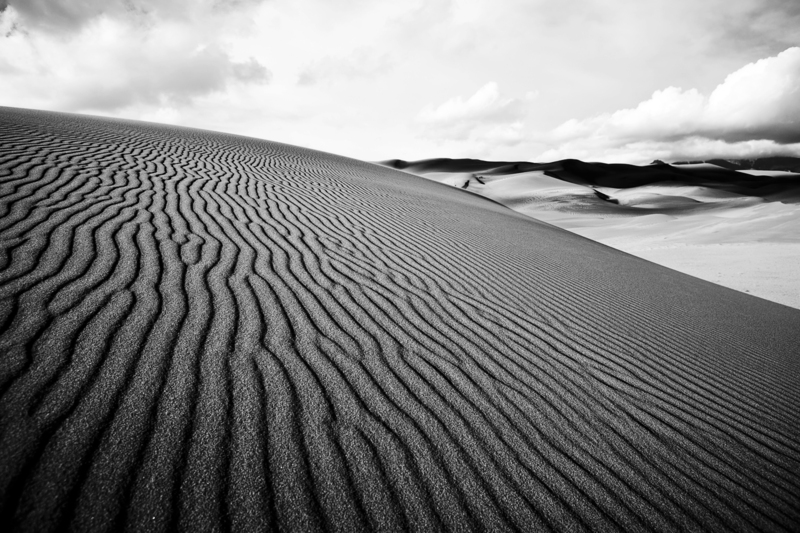 The dunefield has the tallest dunes in North America spreading across 30 square miles (78 sq. km) creating a unique high-altitude desert environment bordered on one side by 14,000 foot peaks and the other by the San Luis Valley.